March 25 â€“ April 1. 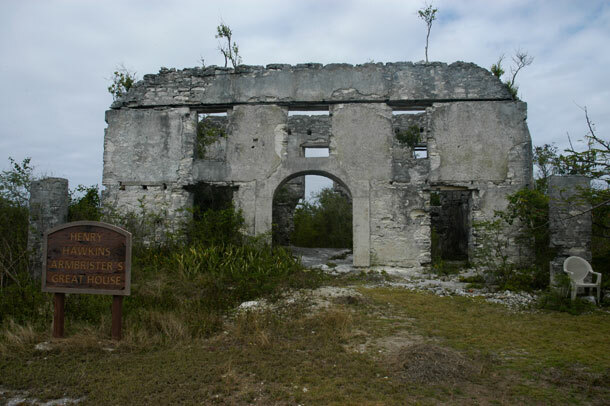 Ruins of a loyalist period plantation in New Bight. When we came to Cat Island we knew that we would have no westerly protection from the impending front. We figured we could hold on one more time and suffer through it. The day of the expected weather we left McQueenâ€™s, sailed north, and tucked up behind a sandbar southeast of Bonefish Point, west of the town of New Bight. We hoped that the sandbar would break some of the waves once the wind turned west. Greg put a bridle on the anchor to point us into the swells. Despite our attempts to lesson the impact of the building waves, we spent a restless night as the boat rocked jarringly from side to side and with Greg jumping up to fine tune the bridle whenever the surging water became unbearable. The next day the wind clocked around to the northeast and we moved closer to New Bight so we could do some exploring in town. Now, in the lee of this island, we looked forward to a pleasant anchorage. But the surge persisted, coming out of the northwest, making for uncomfortable days and more sleepless nights. After a few days of the northwest swells, the wind finally turned east and the gentle idyllic roll of the water returned. We made plans to do some more exploring up the coast, but our comfort only lasted briefly before the surge returned, this time from the southwest as the wind fell off to the southeast. We scrapped our plans to see any more of the island and made a plan to escape the uninviting waters of Cat Island. In between our days of misery and of doing civilization type chores (buying fresh food, laundry, replenishing water, and discarding trash), we did manage to see and experience some of the island. 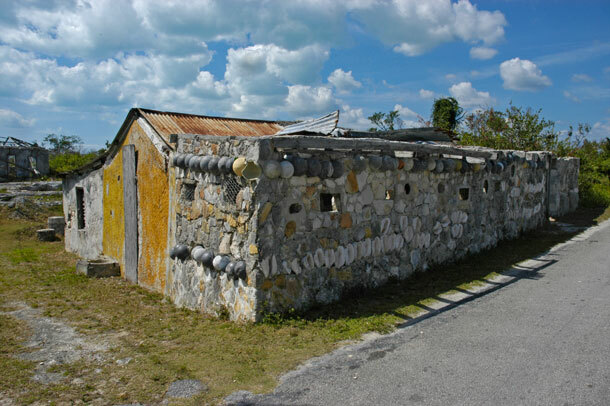 Cat Island is one of the poorer Bahamian islands. We saw many middle class homes, but also many people living in ramshackle structures. The island is littered with ruins. According to my guidebooks many of these deteriorating buildings are from loyalist days. But the history is lost, mingled in with the decline of more current structures. 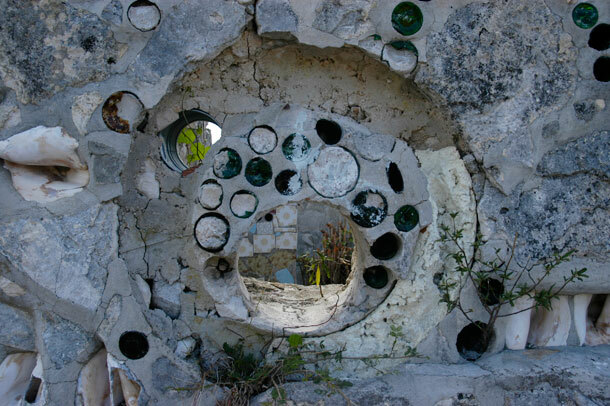 These buildings give a feeling of decay to the island, but the spirit of the people of Cat Island more than make up for the crumbling landscape. Cat Islanders rival Long Islanders in friendliness and helpfulness. While visiting the town of Old Bight we inquired of a young man as to the location of a historical church. He didnâ€™t know what we were talking about, but as we were conversing with him, his grandfather happened to be driving by down the main highway. â€œHeâ€™ll know where it is,â€ the young man told us as he ran out into the street and flagged down the passing car. The grandfather knew exactly what we were talking about and ended up giving us a ride to the location, as well as telling us a little history about the church. We had the opportunity to engage with many friendly Cat Islanders, including Lula who gave us a ride to the grocery store; Pamela who served us beers and told us all about her five children; Pompey who told us about growing up in Cat Island, working on the mail boat, and about Father Jerome, the Catholic priest and architect who retired at the Hermitage in New Bight; Reverend Johnson who gave Greg directions to the Laundromat and sold us fresh produce out of his living room; and Rose who greeted us with a glowing smile and served us at the Good Friday fish fry and who we would later run into at the Laundromat. 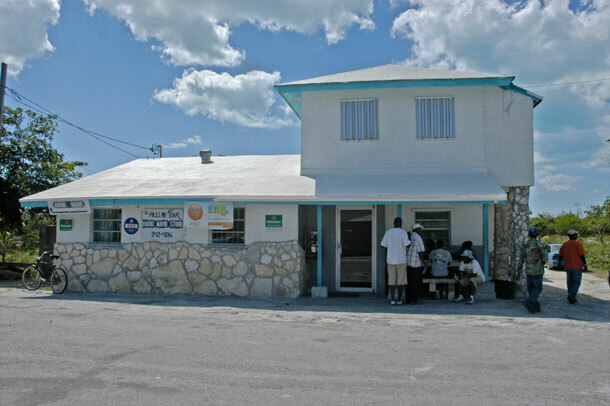 We only spent time touring two of Cat Islandâ€™s many towns. In New Bight we visited the Hermitage (look for the story and pictures of the Hermitage in tomorrowâ€™s post), the ruins of a plantation and had a beer at the regatta grounds. In Old Bight we attended a Good Friday fish fry, toured a couple of Father Jeromeâ€™s churches (pictures in tomorrowâ€™s post) and had a beer at the Pass Me Not bar. We would have liked to have spent more time on the island exploring its caves, rowing Fever through its creeks, and visiting Sidney Poitierâ€™s boyhood home, but lack of sleep and the unpleasantness of being hurled from side to side day after day unfortunately forced us to move on. 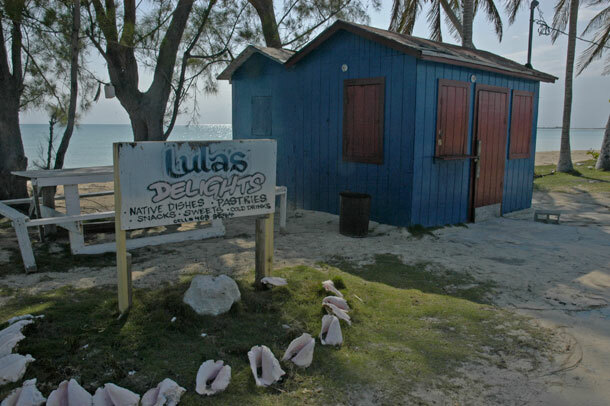 Lula’s Delights. Lula picked us up on the main road and gave us a ride to the grocery store. This is her little business on the regatta ground’s strip. Although the place was closed, she told us to come knock on the door to her home across from her business if we wanted anything. 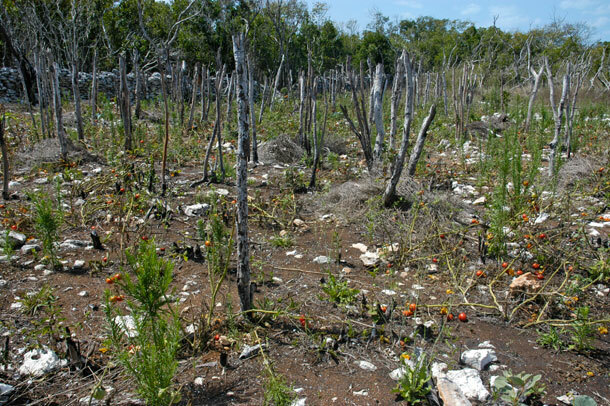 The regatta strip in New Bight. Many colorfully painting businesses line this stretch of road. Only a few were open while we were there, a couple of bar/restaurants and a straw shop. Most of the shops only open their doors during the regatta/homecoming each August when thousands of people fill the streets for four days of partying and visiting with old friends. The teal building on the right is where we had a few beers with Pamela and Pompey. 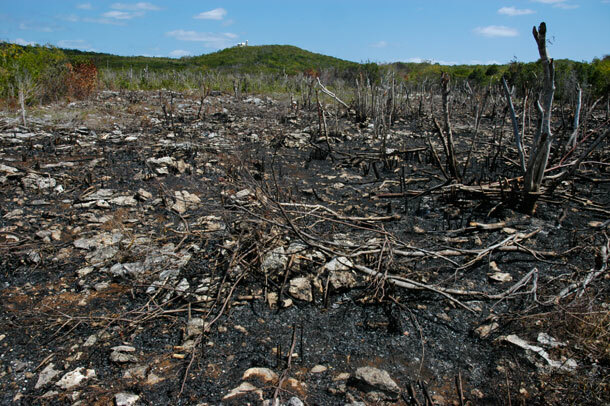 A field after it is burnt. The little building way in the background on top of the hill is Father Jerome’s Hermitage. The road to Old Bight. Old Bight sits about a mile from the shore. 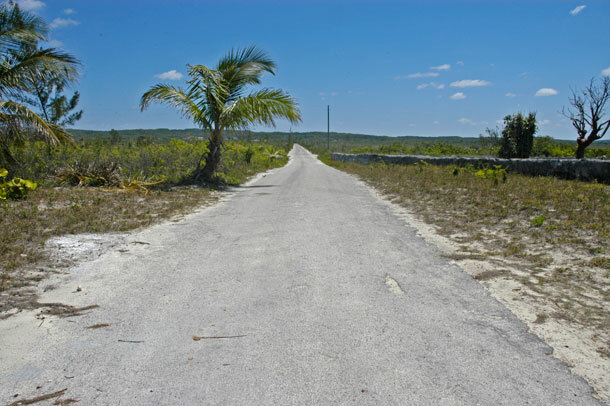 This road leads from the town across a mangrove swamp to the beach. 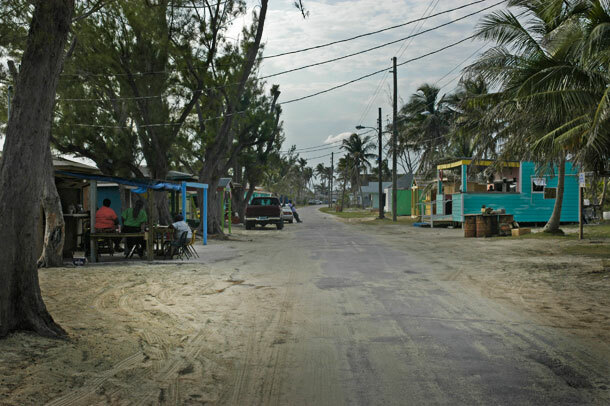 There is only a small boarded up building and a cemetery at the beach end of the road and nothing in between. According to Pompey, it has been there for a long time – before he was born. 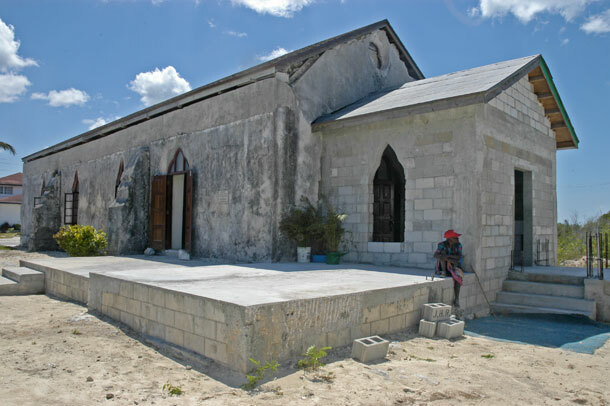 St. Mary’s Anglican Church in Old Bight. Our guide book said that there was an Emancipation Monument at this location. We inquired with the locals as to where it was. They told us that the church is the monument. 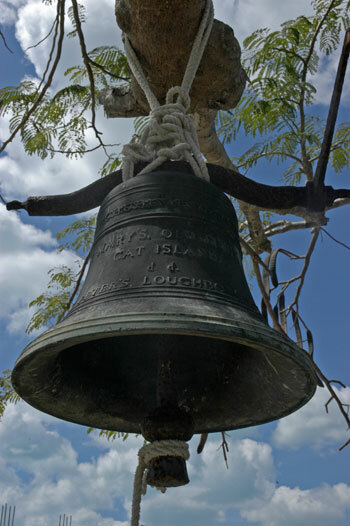 Bell at St. Mary’s Church. 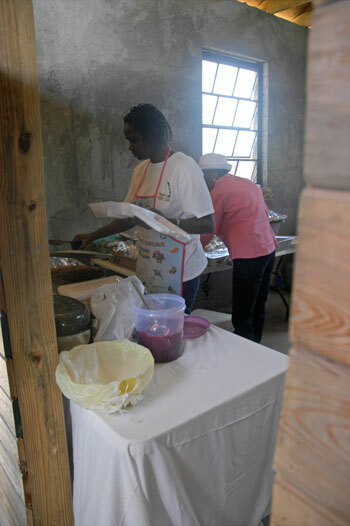 Women preparing meals at the fish fry on Good Friday at St. Mary’s Anglican Church. We had fried fish caught by local fishermen, coleslaw, peas and rice, and macaroni and cheese. It was very good. The woman in pink is Rose who we would meet again the next day at the laundramat. After the fish fry we headed down to the Pass Me Not bar. When we found the door locked one of the guys playing dominoes out front sent us around back where another person took us to the home behind the establishment. Because it was Good Friday, the bar didn’t open until 3pm, but the owner was happy to sell us cold Kaliks out of a cooler in his living room. We ran into Pompey again and had a nice chat with him before we headed back up the road. Cat Island is covered with abandoned and deteriorating structures, but this was most certainly the most interesting one we saw. We passed this one on our way to and from the Pass Me Not Bar. Pompey told us it was built by a man named Harry Morgan. According to others it also served as a bar and a convenience store. Detail of the Morgan building looking into one of the rooms. I would have taken more pictures, but we had too much friendly Cat Islander lag and had to get back to the boat. Calm waters off of Bennent’s Harbour. With the bridle on, lighter winds and the protection of Bennet’s Harbour we finally spent a restful night in the view of beach cottages and vacationing families before we left the next morning for Little San Salvador. 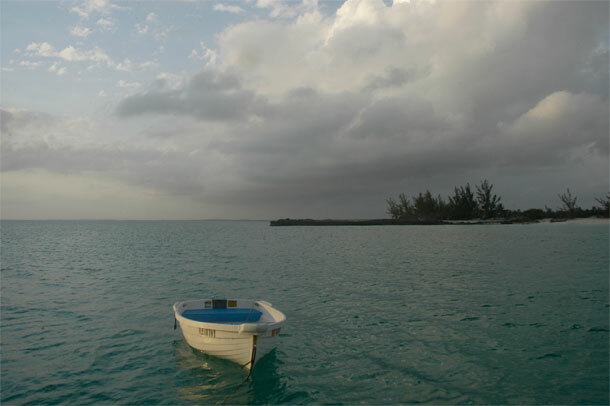 This entry was posted in Cat Island, Life on the Water, The Bahamas. Bookmark the permalink.